This offer is to deep clean and fast dry carpet in the rooms you select that are soiled under normal 'wear and tear' conditions. Rooms that are larger than average may incur an additional cost and our technician will advise of this prior to commencement. Our standard carpet cleans include free stain removal. However, stubborn stains that require extra attention such as Blu Tack, Chewing Gum, Red Wine, Soft Drinks, Hair Dye, Felt Pen, Inks, Rust, Paint and Wax may incur an additional fee. Our technician will speak with you if this is the case prior to commencement. 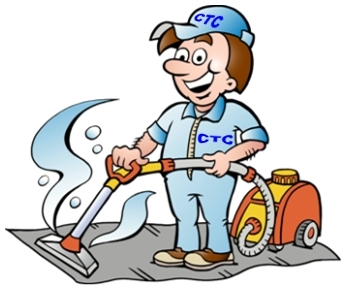 Carpets that are excessively dirty or contain a high concentration of stains may incur an additional cost and our technician will advise of this prior to commencement. Lounge and Dining are considered as 2 rooms. includes cockroaches, silverfish, ants and webbing spiders. * This offer is for a standard 3 bedroom home and external areas serviced are those around the house. Outbuildings are not included but let us know at the time of your call and we can give you a special price for those at the same time. We offer a variety of Pest Control Services at discounted prices. Take a look at our range of services and you will see that we can attend to any pest eradications you may require. Please give us a quick call to 1300 762 021 and we can give you an instant quote over the phone.